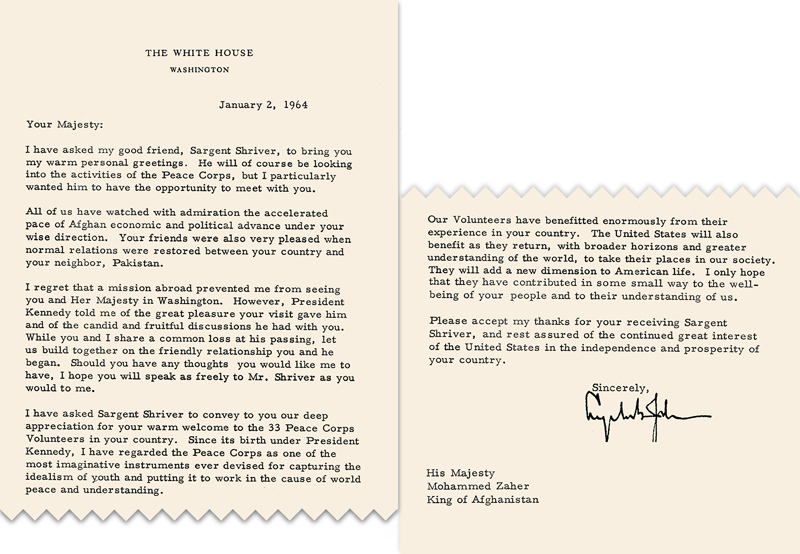 In Small Things Remembered » Sargent Shriver, Director of the Peace Corps, tours Afghanistan. 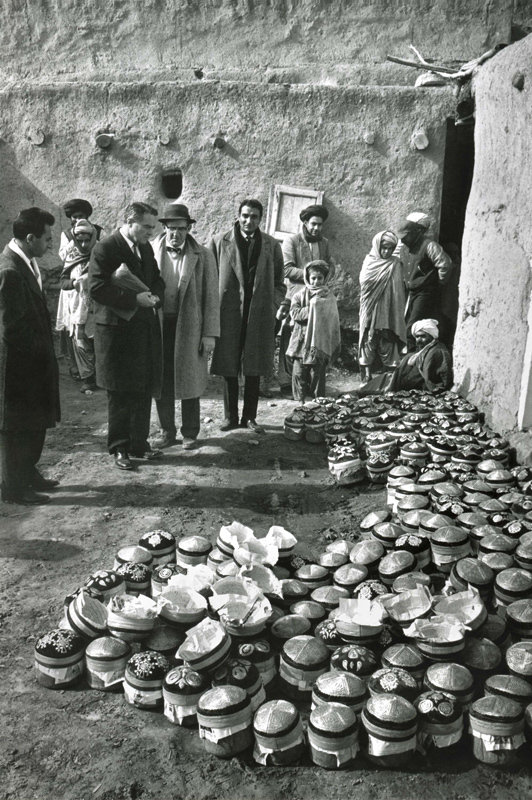 Sargent Shriver, Director of the Peace Corps, tours Afghanistan. a. Shriver (holding package) surveys the wares of a hat merchant. b. 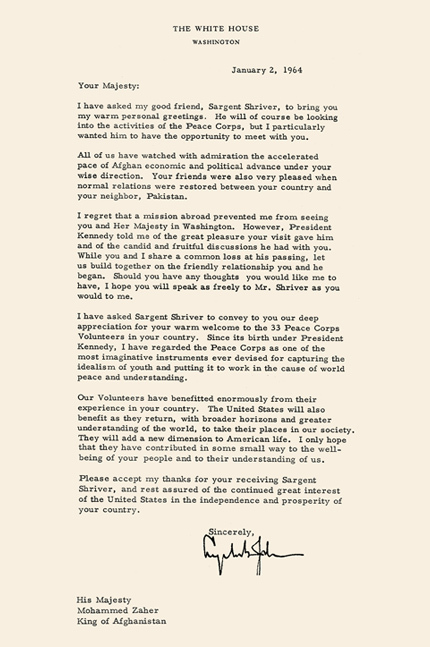 Letter from President Lyndon B. Johnson to King Zahir Shah. conveyed President Johnson’s warm greetings to King Zahir Shah. Courtesy of the National Archives Still Picture Unit. 490-D-1-API-1-30. Special Head of State Correspondence File, “Afghanistan 11/22/63-10/1/66,” Box 2.